We undertake house clearance in all areas of Dundee: Downfield Fintry Strathmartine Coldside Lochee Maryfield The Ferry Menzieshill Ninewells Pitkerro St Marys Stobswell Whitfield Woodside. Scottish textiles recyclers have traditionally been small to medium sized family businesses, relying on their industry knowledge and market savvy to keep trading. They occupy a unique niche in this country and have done for many years: House Clearance Dundee collects used clothing, manually sorts the material (as automation is virtually impossible for quality control), we then bail it and ship to overseas buyers. 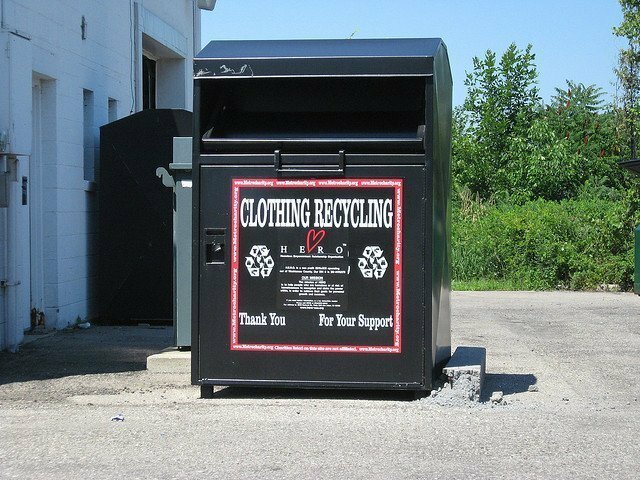 With this system a good proportion of the clothing discarded in this country has been diverted from landfill for reuse overseas. Merchants are obeying the business rules for surviving a downturn: cutting costs, boosting efficiency, and diversifying. Whether markets will improve before the textiles recycling trade has to change significantly remains to be seen, but there are suggestions that the industry could follow the trends seen in other sectors: with consolidation and possibly the entrance of waste management companies. Textiles recyclers are still struggling, with thousands of jobs at stake throughout Europe, according to the Bureau of International Recycling. In a further blow to the industry, already coping with depressed demand and prices, the German authorities have taken action which threatens trade in used clothing. The BIR reports that their interpretation of European regulations jeopardises exports: Germany no longer consider textiles collected within the EU to be of European origin. In addition, the sorting of second-hand clothing is no longer considered sufficient ‘treatment’ to give textiles a European label. The BIR dispute this decision, arguing that sorting clothing is more than just a minimal treatment. As a result of the German decision, exports to non-EU countries could be subject to high export duties (up to 200%) from now on, and preferential customs agreements could be completely abolished. One consequence would see second-hand clothing become more expensive than cheap imports of new clothing, with several million tonnes of used textiles either being landfilled or incinerated, instead of being reused or recycled as is curently the case. The European members of the BIR Textiles Division have promised to take action against this latest move.